Spiti, one of those magical lands where a single visit won’t be enough. This place is so peculiar, with respect to both its structure and location, that one can only be spell bounded seeing how beautiful this valley is. 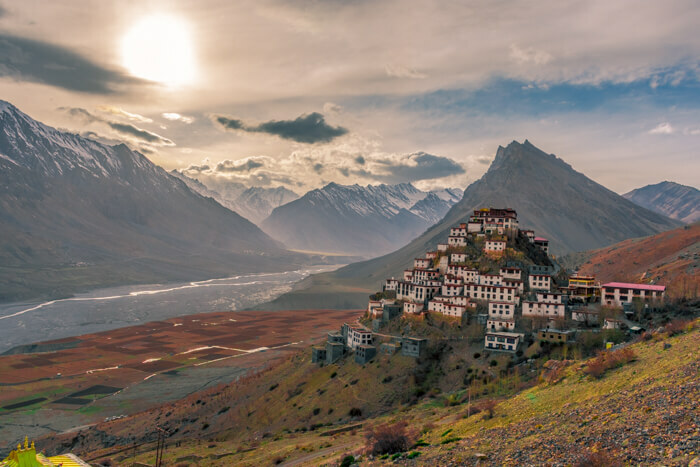 Also known as the middle land, Spiti lies right in the middle of Tibet and India. So do not be surprised if you see Tibetan culture mostly dominating this beautiful secluded valley. Below, I am writing a detailed guide to help you visit this place with much ease. There are no direct routes that lead to Spiti. One reason is that Spiti is really far and another is the roads are rugged. 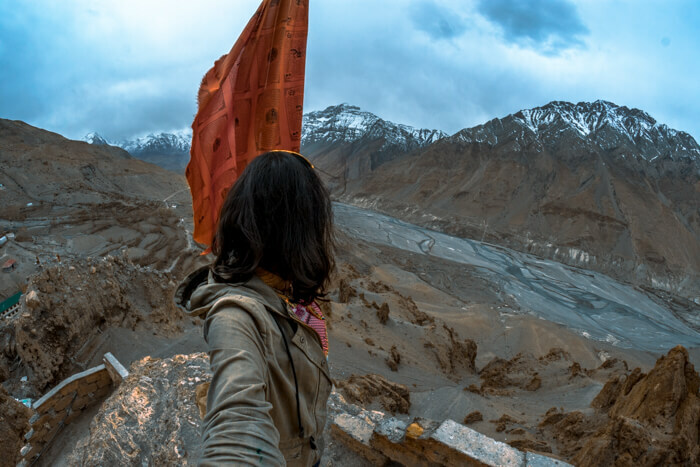 From big cities like Delhi, there are two routes that can be followed to reach Spiti. One is from Shimla/Reckong Peo side and another is from Manali side. However, the Manali route is mostly closed during the winters due to heavy snowfall. From Delhi, a bus leaves at 8 PM every day for Reckong Peo and takes about 17 hours to reach Reckong Peo. The next day, you can leave for Spiti early in the morning where the bus leaves from the station at 7 AM, 9 AM and 12 PM. 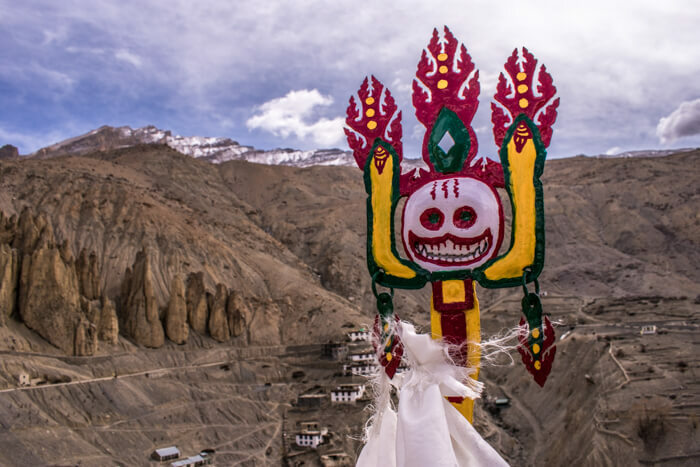 To cover the entire circuit of Spiti you need at least seven days. The places are close to each other and can be covered by renting out a vehicle. However, if you are on a budget or travelling solo and thus prefer buses, there are bus timings that you need to note which I will also talk about in the below section. Depending on the time you arrive in Reckong Peo; a beautiful town of Kinnaur, there are chances that you might have to spend a night in Reckong Peo or else catch a bus and head straight to Nako. There are three buses for Nako that leaves from Reckong Peo bus stand at several times. One is at 7 AM, 9 AM and the last one is at 12 PM. I will highly suggest you catch the 7 AM bus as it will give you more time to explore Nako and see the sunrise right on top of the Nako Lake. You will reach the village after 3 to 4 hours of a ride on the bus. 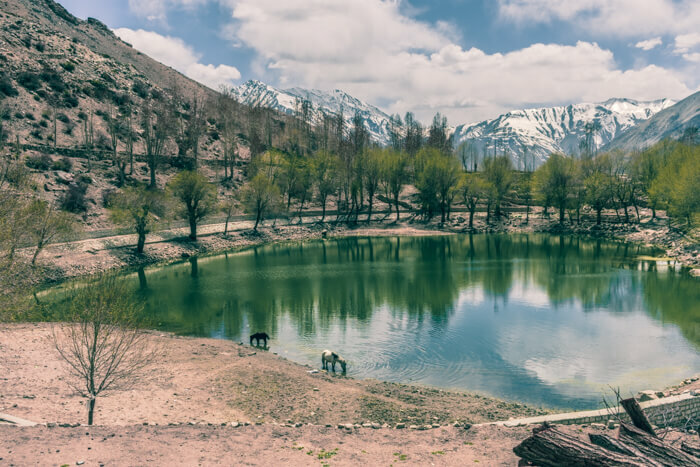 Upon reaching, rest in the hotel and head out to relax near the lake – Nako lake. It has one of the most peaceful vibes surrounding it. Also, do visit the monastery of Nako. The next day, leave for another village – Tabo. 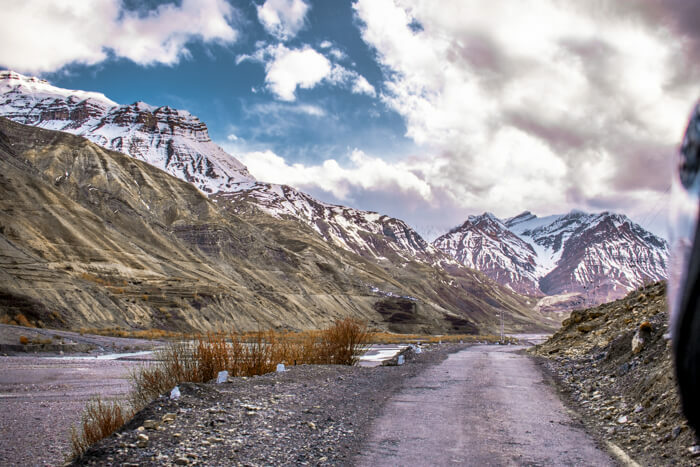 This is when you will know that you have entered the beautiful valley of Spiti as the landscape changes entirely and you start to understand why it is known as the cold dessert. The bus for Tabo leaves at 12 PM and 2 PM from Nako. Once you reach Tabo and enter the village, you will realize how peaceful the surroundings are. It is one of those beautiful places which touch your soul. In here, you can relax and soak in the village under the sun. The most prominent places to visit here is Kalachakra stupa as well as the monastery which is considered the oldest monastery. There are caves as well right in front of the village and it is said that previously monks used to meditate here and also protect themselves from the cold. There is no direct bus to Dhankar village. You first have to reach Sichling village for which the bus leaves from Tabo at 9 AM. From here you would have to hitchhike to Dhankar village or take a taxi. Dhankar village is very beautiful and gives a historical vibe as you will see white coloured houses are etched on top of the washed out rugged terrain of the mountains. There is a Dhankar lake as well which is half an hour of a trek away. 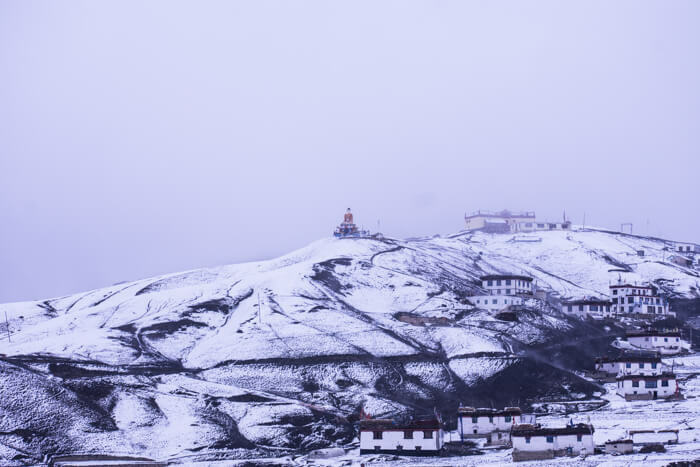 Also, do visit the Dhankar Gompa which is also considered to be the oldest monastery and lies on a 300-meter high spur. The next day, hitchhike or take a cab to come back to Sichling village so that you can catch the bus that leaves for Kaza at 10 AM. There is another bus that leaves at 5 PM as well for Kaza. The bus takes about one and half hours to reach. 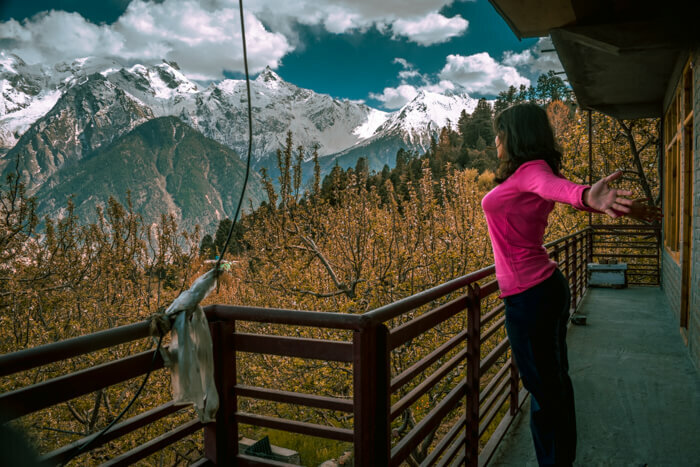 Once you reach Kaza, you will get network access and Wi-Fi in a few hotels. 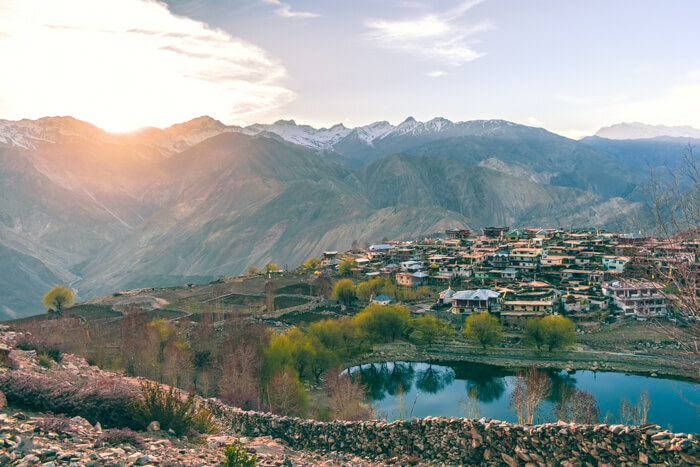 Kaza is considered the capital city of Spiti and you can soak in the view of the river and distant mountains from practically any hotel here. It is one of the most beautiful towns to live in and is also slightly crowded as compared to the other villages. The next day, take another bus that leaves for Kibber which leaves at 4.30 PM and takes about an hour to reach Kibber. Midway it will also cross Key monastery. You can explore the village and then hike down to Keeto spend the time in the monastery itself. Plus, the milky way from the monastery will take your breath away. There are rooms especially for the tourists to stay in and the monks also provide you with food. However, if you would like to stay in Kibber instead, you can also visit the Chicham bridge which is Asia’s highest bridge built a few years back to make the commute between Chicham and Kibber easy. There are no direct buses to these places. You would have to either take a private taxi or best is to rent out a bike. The entire circuit is completed in one go, starting from Langza. Komic is regarded as a place that is the highest motorable village in the world. Further, Hikkim is said to have the highest post office in the world. Sending postcards from up here is one of the special feelings that one can get. 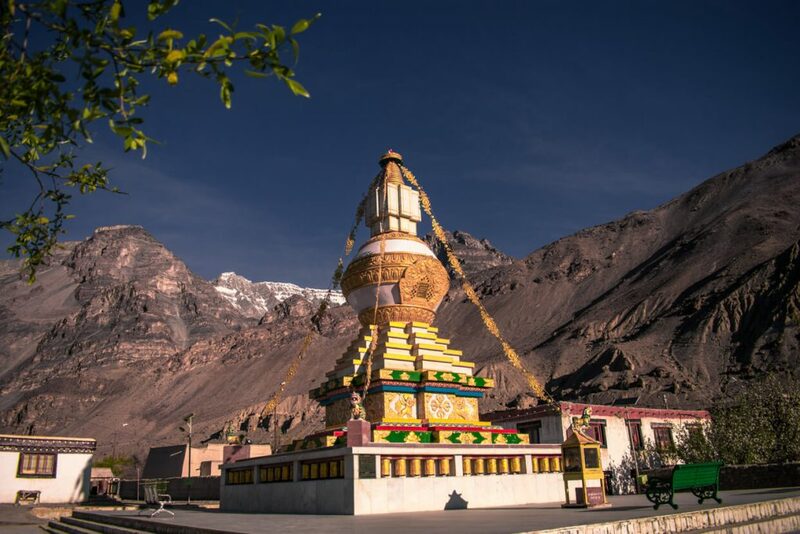 You can also opt to stay in Langza and enjoy the milky way which at times align directly on the top of the Buddha statue, or come down to Kaza and prepare for the next day. Today, leave for Pin Valley which you can explore by taking a bus or instead of renting a bike out. I would highly suggest you rent out a bike for this place so that you can stop anywhere at any viewpoint. In fact, there are so many viewpoints here that you would like to stop everywhere possible. Spiti is heaven, no doubt! 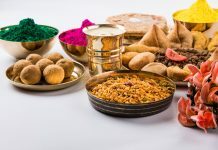 It is also called the cold dessert of India and for a reason. Being surrounded by nothing but a barren land despite the cold is amazing! You will hardly see any cultivation around and mostly snow at its best. You can check out my vlog on Spiti below! 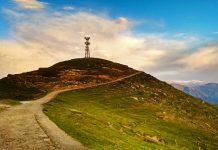 Want to visit yet another stunning place in Himachal Pradesh? Check out Bir Billing!